This men's wedding ring is from the Lashbrook Designs. Crafted in cobalt chrome, the 8mm domed piece of jewelry features a 4mm camouflage inset of Mossy Oak shadow grass blades. 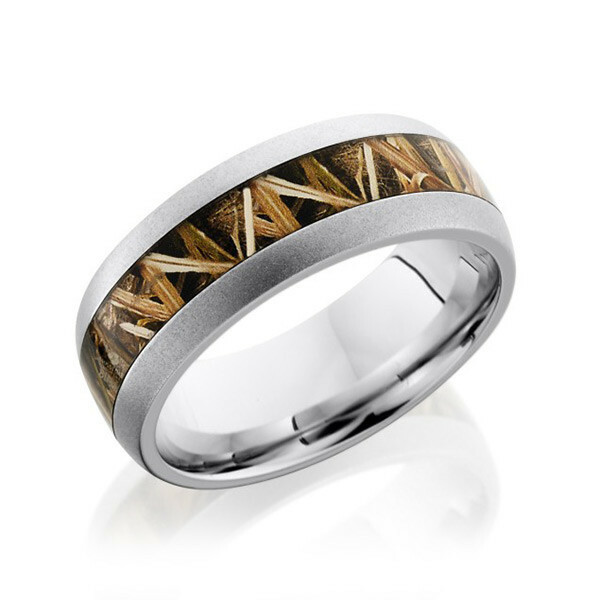 This Lashbrook gent's ring shows that the grass isn't always greener; not when you have found a unique wedding band created in a strong performance metal that pays homage to your love of the great outdoors and suits you perfectly!